​Over the last 15 years, the corporate learning market has seen explosive growth. Today, according to research by Deloitte, companies spend nearly $4.5 billion on core learning management systems (LMSs), and the market for video-based content is on fire. Companies such as LinkedIn-owned Lynda.com, Coursera, NovoEd and Udacity, as well as new vendors such as BigThink, Udemy, Grovo, General Assembly, CrossKnowledge and others, now offer expert-led courses on a wide variety of topics. All are focused on helping professionals learn, stay up to date and advance their technical skills. In the early days of online learning, courses were developed as magazine-like, page-turning e-learning programs, which were tracked and managed by the learning management system. The LMS, which stored a massive course catalog of programs, then became the core HR technology system to house and manage these programs, track progress and completion, and house the business rules around compliance and government recordkeeping. As a result, the LMS became a "bread-and-butter" part of HR technology, and the market grew rapidly. Over the last few years, however, this all started to change. Today we are all online constantly, and we have access to large amounts of video content on YouTube and iTunes. We want to browse for courses from all over the Internet, we want our training to be curated and "recommended" to us like music, and we want the opportunity to quickly preview content, find the material we want and go back when we need more help. In a sense, the world of learning shifted from one of "learning programs" to one of "microlearning," just like news and information has become similarly atomized into small pieces. It's time to move beyond the LMS and look at systems that create a curated, collaborative, open learning experience. While LMS vendors tried to do this a decade ago, most systems have become compliance and talent platforms. A new breed of software has popped up to make learning fun, interesting and quite compelling. This new market, which I like to call "learning experience software," has only emerged in the last few years. Vendors like Degreed, Pathgather, EdCast and Watershed now offer this open learning experience in a compelling and new way. They help employees discover and publish any content they want (including materials they author); they have tools to recommend content to others; they enable the employee to build learning "paths" and "academies" to collect content together; and they have social tools to build communities around programs and topics. While this kind of functionality was imagined by LMS vendors years ago, it never really came together effectively because the LMS was designed as a course catalog. These new platforms are designed as social and mobile learning experiences, so they are fun, easy to use and completely open to all content sources on the consumer Internet. Large vendors like Workday (Workday Learning), Oracle (Oracle's video learning platform), SuccessFactors (SAP JAM), SumTotal and others are moving in this direction as fast as they can, and most other LMS vendors may head this way as well. Today, unfortunately, you have to buy an LMS and then add this level of software to build a complete solution, but it's only a matter of time before LMS vendors and learning experience software start to come together. Remember one important thing: In today's work world, an employee's ability to learn, share information and collaborate is one of the most important drivers of employment brand and employee engagement. So as you think about your learning technology strategy, make sure you look seriously at these new tools for the modern learning experience. Companies are snatching them up right now, and reporting that they and their employees are happier and more productive because of them. Josh Bersin is founder and principal of Bersin by Deloitte, Deloitte Consulting LLP. He is a published author on the Forbes website; is a LinkedIn Influencer; has been quoted by Bloomberg, NPR and The Wall Street Journal; and speaks at industry conferences and to corporate HR departments around the world. 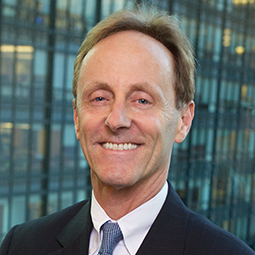 Contact him on Twitter @josh_bersin and follow him at www.bersin.com/Blog/.